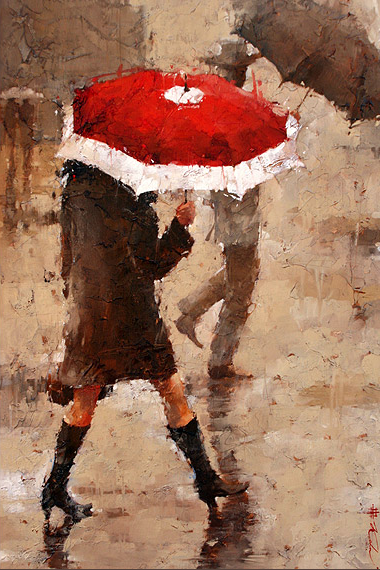 I'm inspired today by Andre Kohn's wonderful oil paintings depicting moments of every day life. 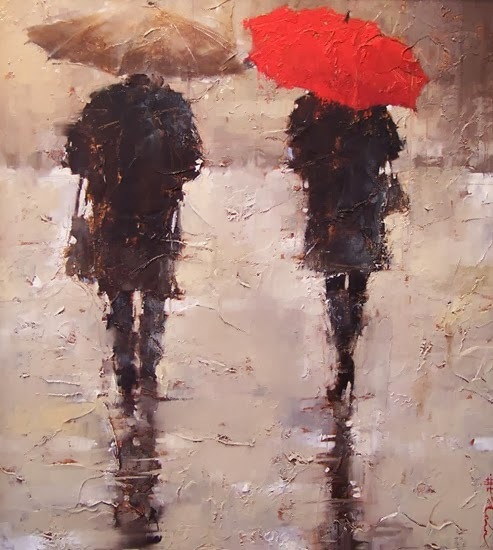 I love the pop of red which is a strong theme throughout much of his work and adds a playfulness to the monochromatic tones. 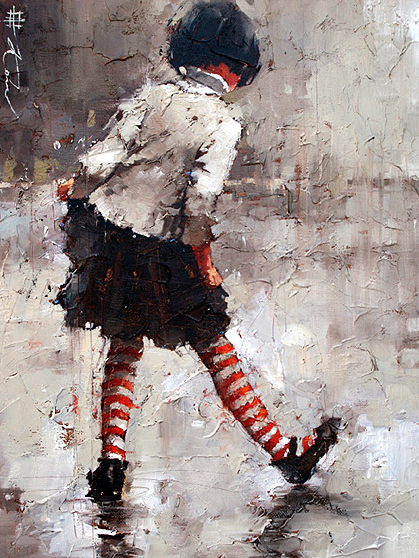 I also appreciate that his paint strokes add wonderful movement to each painting. Andre is originally from Russia and now resides in Arizona. His work is displayed in galleries and shows throughout the United States. Be sure to visit Andre's website and see his wonderful body of work in his portfolio. I think you'll be glad you did! Thank you for inspiring me today Andre!